Federal Reserve Chairman Jerome Powell said Wednesday that he has used his first year as chairman to make sure the central bank deserves the trust of the American people, especially at a time when people are losing faith in big institutions. Powell acknowledged that at the moment “we are paddling against the current” in an effort to restore the public’s faith in large institutions like the Fed. He said to achieve this goal he has tried to emphasize outreach to members of Congress, which oversees the central bank. He also said he is making his speeches and other Fed communications as jargon-free as possible. Powell spoke to teachers gathered in the Fed’s giant boardroom in Washington in an event that was also webcast to other groups of educators gathered at the Fed’s regional banks around the country. The education town hall was begun by former Fed Chairman Ben Bernanke and continued by his successor Janet Yellen as a way to boost interest in economics education. In his remarks, Powell did not discuss the path of interest rates. At the Fed’s meeting last week, the central bank sent a strong signal that it is ready to take a pause in hiking rates after nine rate increases over the past three years, including four hikes last year. 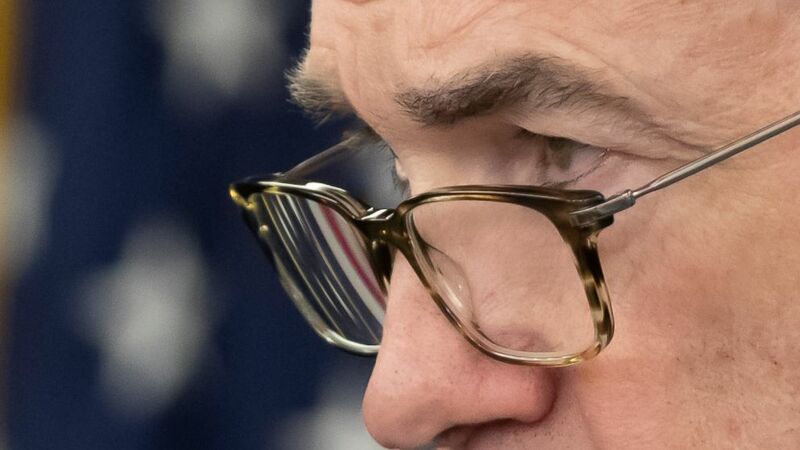 Powell also did not address the sharp criticism that President Donald Trump leveled at the Fed last fall at a time when the stock market was falling sharply, a sell-off that Trump blamed on the Fed’s rate hikes. Powell and Fed Vice Chairman Richard Clarida had dinner with Trump at the White House on Monday along with Treasury Secretary Steven Mnuchin. Mnuchin said the discussion covered a wide range of subjects from the state of the economy to the Super Bowl but that Powell did not send any signals about the future path of interest rates. Former Fed Chair Yellen, in an interview Wednesday on CNBC, said she believed Trump’s repeated criticism last fall could end up being damaging to the central bank. “It is important for the Fed to be independent. I worry that the comments (by Trump) threaten public confidence” in the central bank, Yellen said. Powell praised teachers for their work teaching economics to high school students, saying when he was in high school economics was not taught. Asked about what he does for relaxation, Powell said he liked to play the acoustic guitar and was contemplating getting other Fed officials involved. Powell said that Clarida, the Fed’s vice chairman, was a good singer and enjoyed writing music. “I am really hoping to get a Fed band going,” he said.